In 1914 the fourth, last, and biggest Moonbeam was designed by William Fife Junior. Six years later, Charles Plumtree Johnson ordered the construction of the cutter. It turned out to be one of the most elegant and most beautifully designed gaff cutters of the 20th century. 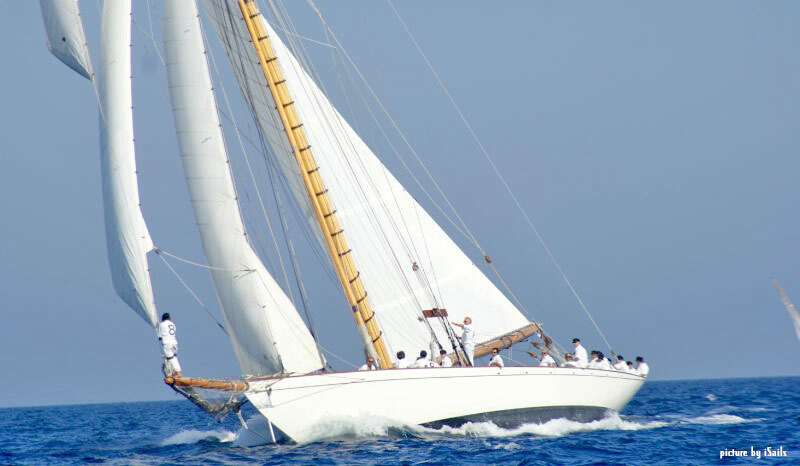 Already in the early 1920ies, Moonbeam IV won several sailing competitions, such as the renowned King's Cup in 1920 and 1923. Also in the following years, the ship kept winning regatta competitions. But the truly glamorous period for Moonbeam IV started when prince Rainier of Monaco purchased the yacht in 1950. In 1956 he and princess Grace Kelly spent their honeymoon on Moonbeam IV. Whether Moonbeam IV is smoothly sailing through blue waters or anchored somewhere off shore, her stunning beauty is omnipresent. But her elegance is not only striking from the outside, the glamorous style continues throughout the interior and closely resembles a gentleman's club. The freshly waxed rosewood, Persian carpets, antique lamps, and leather bound books will bedazzle you! The yacht offers a luxurious accommodation for up to 6 persons with a master chamber that is equipped with double and single beds as well as en-suite bathrooms. Air-conditioning is providing comfortable cooling throughout the whole yacht. Moonbeam IV combines the speed of a race yacht with the comfort of a cruise ship. Experience this unique classic yacht under full sail! 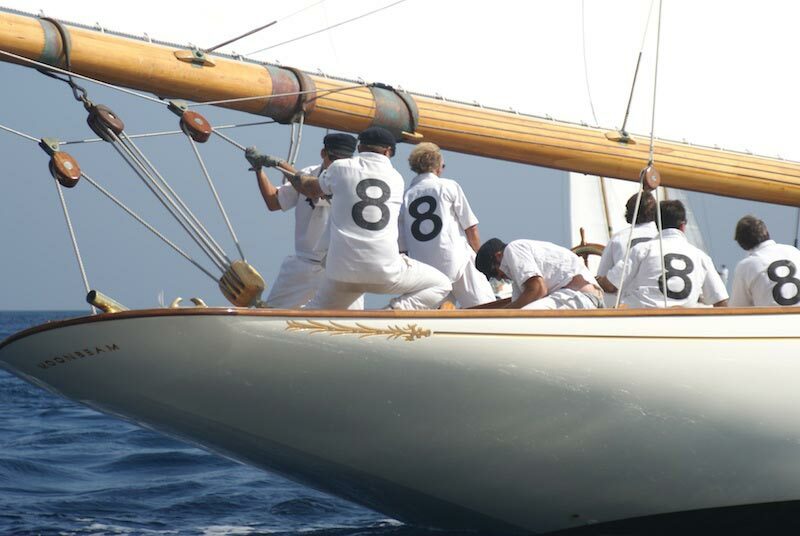 Up to 25 daily guests can participate in a classic regatta race and join the adventure of sailing. Five professional crew members will assist you. Whether sailor or non-sailor, you will love this unique opportunity to sail on one of biggest gaff cutters! Although William Fife Junior designed the last and biggest Moonbeam right before World War I in 1914, the construction of the ship was only commissioned after the war in 1920 by Charles Plumtree Johnson. The outcome was Moonbeam IV, a cutter that shows the characteristics of a racing yacht offshore in combination with the deluxe comfort of a cruising yacht. Moonbeam IV became a legend due to her extremely successful participation in renowned yacht races. Among others, she won the King's Cup in 1920 and 1923. 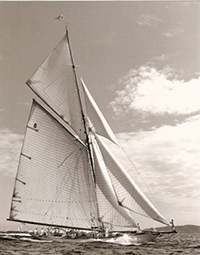 However, her most glorious times began when prince Rainier of Monaco became the owner of the Moonbeam IV in 1950. Princess Grace Kelly enjoyed the beauty of the yacht on her honeymoon with prince Rainier. And the fabulous story of Moonbeam IV continues until today. She is one of the very few gaff cutters who kept her original, classic style. Moonbeam IV offers her guests the magic charme of a classic gaff cutter yacht combined with the comfort of a modern cruising yacht, including AC, multimedia equiptment, stereo sound system on deck and a sun awning. We offer cruises along the Côte d'Azur or across the Mediterranean to Italy, along Elba, Corsica or Sardinia! You may chose a day, a weekend, or a whole week! Moonbeam IV is also available for many regatta and events! 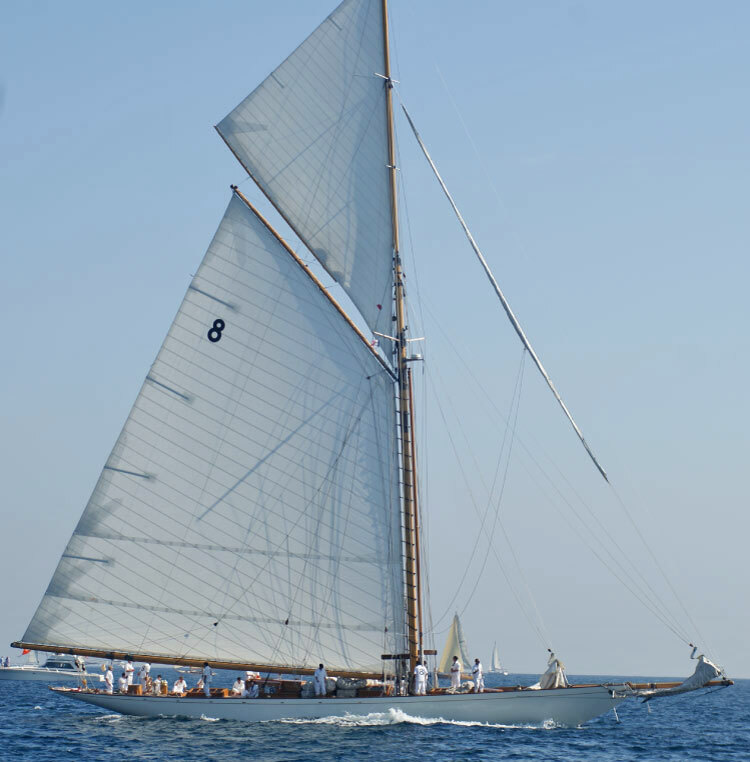 Interested in Classic Yacht Moonbeam IV?